SOME PEOPLE COLLECT STAMPS OR TIMEPIECES, OTHERS, SHOT GLASSES FROM VARIOUS CITIES VISITED. I COLLECT EYE GLASSES. I HAVE WORN GLASSES/CONTACTS SINCE FIFTH GRADE AND HAVE ROCKED SOME CA-UTE WIRE FRAMES OVER THE YEARS. BUT AS I GOT OLDER, MY PREFERENCE MATURED AND THE FRAMES GOT PRICIER. A COUPLE OF YEARS AGO A COMPANY CALLED WARBY PARKER CAME INTO VIEW. I STUMBLED UPON A BRAND WHERE YOU CAN FIND FRAMES, LENSES, QUALITY AND OVERALL STYLE, FOR UNDER $100. IF YOU DON'T WEAR GLASSES, JUST KNOW THAT IS INSANELY CHEAP. MOST EYEWEAR STORES SELL FRAMES AND LENSES SEPARATELY AND COST AN UPWARDS OF $300-$500. SO ONCE I CAME ACROSS WARBY, MY INTEREST WAS INSTANTLY PEAKED. IN THE CITY IT WAS EASY TO SAMPLE THE STYLES. STORES HAVE POPPED UP ALL OVER MANHATTAN, MAKING IT EXTREMELY CONVENIENT (AND DANGEROUS) TO PICK UP A PAIR OF FRAMES WHENEVER YOU FEEL LIKE IT. OVER THE PAST COUPLE OF YEARS THEY'VE GROWN LARGER AND HAVE DRAWN MORE ATTENTION TO THEIR ONE OF A KIND SPECTACLES. BUT SINCE MOVING TO VT, I'VE BEEN GOING THROUGH WITHDRAWAL BECAUSE NO SUCH STORE EXIST HERE. 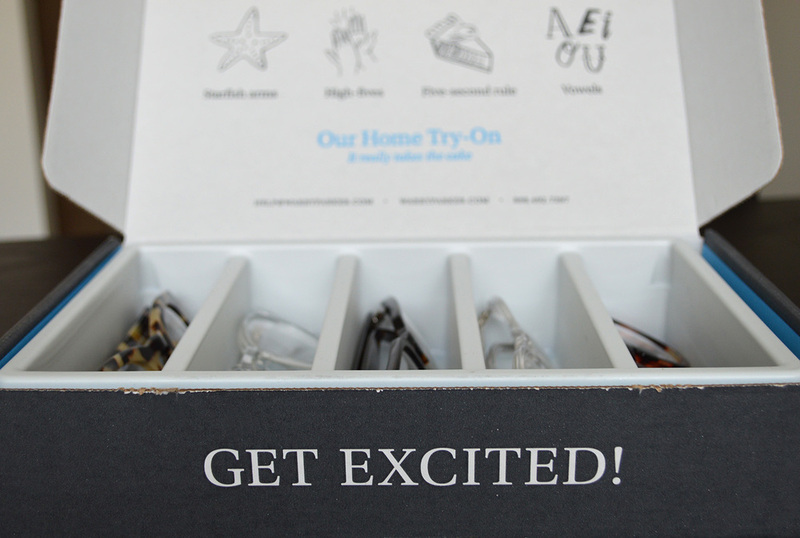 LUCKILY, WARBY HAS A GENIUS INVENTION THAT SENDS A MINIATURE WARBY SHOP RIGHT TO YOUR HOME. #WARBYATHOMETRYON MAKES IT POSSIBLE FOR YOU TO TRY GLASSES ON RIGHT IN THE COMFORT OF YOUR OWN HOME. 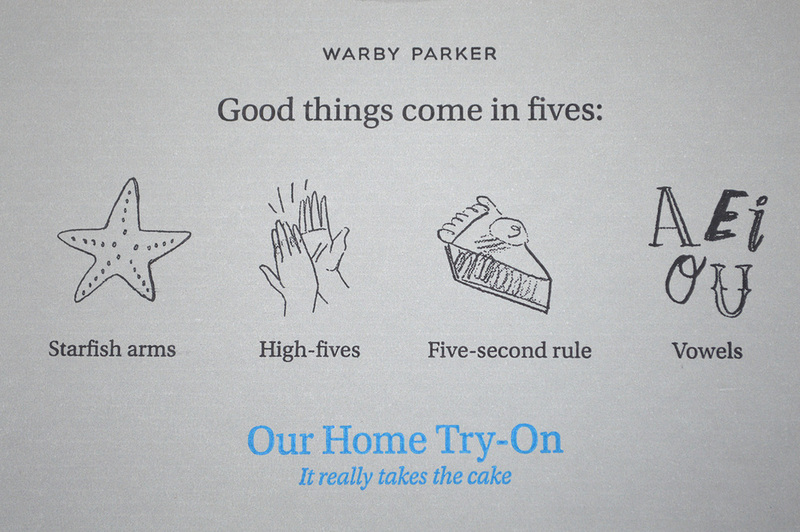 SIMPLY GO TO WARBYPARKER.COM AND BROWSE THE STYLES. CLICK ON A PAIR THAT STRIKES YOUR FANCY AND NEXT TO THE DESCRIPTION OF THE STYLE THERE'S AN OPTION HOME TRY-ON. YOU CAN SELECT UP TO 5 STYLES AT ABSOLUTELY NO COST. CHOOSE YOUR FIVE AND CHECKOUT. THE ENTIRE PROCESS IS FREE. YEPP, YOU HEARD ME. FREE. THEY USUALLY SHIP IN LESS THAN A WEEK. ADVICE: BE PREPARED TO LOVE THEM ALL. THE ENTIRE PACKAGE COMES EQUIPPED WITH ENCOURAGEMENT, INSPIRATION AND EVEN A BLANK LIST FOR NOTES SO YOU'RE MORE THAN PREPARED TO CHOOSE A STYLE. THIS TIME AROUND, MY FAVORITE WAS THE HASKELL IN CRYSTAL, THE NEWEST ADDITION TO MY GROWING COLLECTION.